Flo-sama is the Chairman of LaDOSE, a non-lucrative fighting game event organization in France.Tekken 7. They created The MixUp, the French Major event near Lyon. The event will be one of the biggest European stops for the Capcom Pro Tour (Street Fighter V), the Tekken World Tour (Tekken 7) and the Dead or Alive 6 World Championship. 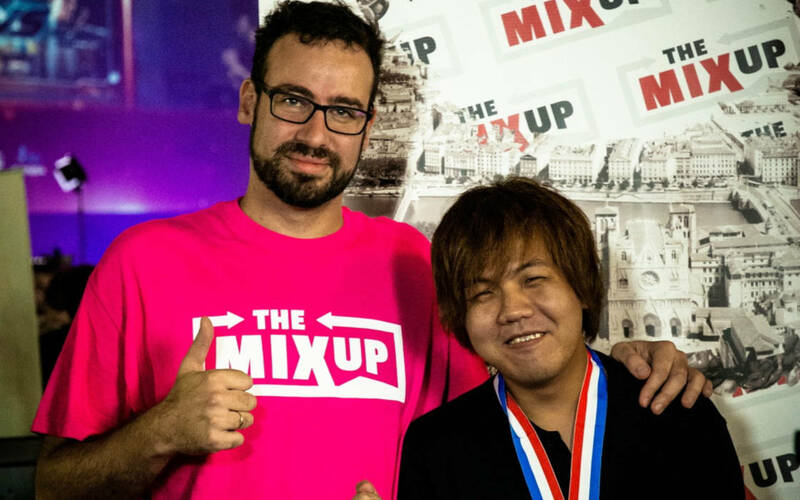 Esport Wizard had the pleasure to interview Florent “Flo-sama”, head Tournament Organizer of The MixUp. Taking place in end of April, this event will be one of the biggest fighting game event of the year in Europe. We spoke to Flo, to learn his motivations, goals and opinions, surrounding the Fighting Game Community (FGC) in Europe and his event. Chaf Cancel: So, what brought you to the FGC? Flo-sama: I came in contact with fighting games in 2008, in a weird way. I was in New-Zealand, kinda bored. I took a DS and installed some games. I found Garou: Mark of the Wolves. The game ran terribly on my DS, but shortly after, I found out about the software GGPO, which allowed me to play old fighting games, like Garou or Super Street Fighter II Turbo, online with other people. That was my first contact with Fighting Game competitions. After that, I came back to Lyon. Back in that time, Super Street Fighter IV just hit the stores, and Juri, a Taekwondo martial artist, was one of the newest character of the series. Since I played Kim Jae Hoon in Garou, another Taekwondo martial artist, I decided to main her. Quickly, I’ve met with the Arcade community of Lyon, and I’ve helped Game Spirit, a local Arcade in Lyon, for a tournament series named “European Street Battle”. Back them, I saw the potential of the Lyon scene, and with some key members, we created LaDOSE. It was gradual. People brought their own equipments at first. Then, we started to earn some money, which we redistributed to create bigger events and tournaments. Chaf: Back when Street Fighter IV was the hottest game, right? Flo: Exactly. The Arcade scene in Lyon was big, and still is. It helped us a lot to install our scene and it grew organically. 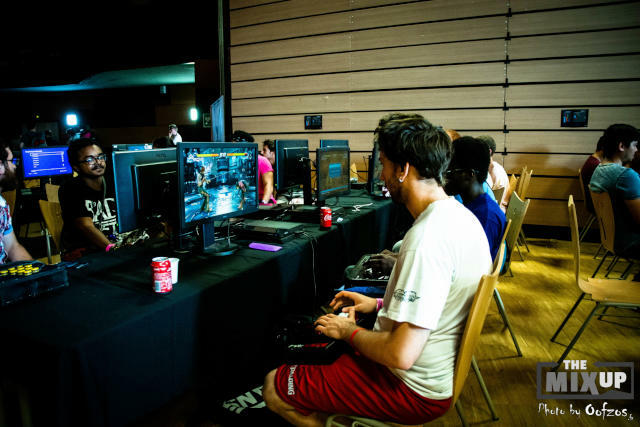 Our first project was a local Ranking for Lyon players, to offer something to the French South-Eastern scene. Chaf: How did you see your transition between organizing grassroots rankings and making esport majors? Flo: I think we’re still transitioning. Even today. But the first sign when we saw that we started to do something that can last, was during our tournament named Street Grand Battle 2015, when we had our first sponsor deal with (Smashcast, formerly known as) Hitbox. They helped us having some interesting media coverage, and the cash-prize we put with them was not half-bad. It helped us delivering a good event. But the most important thing was that they had an international streaming team provided to the event. A thing that we couldn’t have done without them during that time. And back then, we decided to make our tournament just a week before the DreamHack Winter, a big CPT Premier Event in Sweden. So that we could have international players joining our tournament in France, just before they would go to DreamHack. Chaf: Funny you mention that, because for this year, the roles are reversed with another Tekken Event in Germany, called the DamaGermany, which will be shortly before the MixUp, being a TWT Master Event. Flo: Yeah. That’s a very good strategy and I encourage smaller TOs to do the same. Making your event shortly before your a big major tournament, when the two events are near geographically, will cut the cost down and can make you bring very prestigious players. So yeah, I’m glad people did it with the MixUp as well. Unfortunately, the SGB 2015 was a couple of weeks before after the terrorism terrorist attack in Paris, back in November, which made half of our international players cancel their flight. It did tarnish the event a bit, but we still had a great tournament. Chaf: What’s your thoughts on the European FGC in general? What’s our potential with the rest of the World? Fio: Simply put, we’re starting to get stronger players, because we get better games to play on. Tekken clearly became the community bandwagon, since we see their numbers increasing since Tekken 7 came out. Guilty Gear is still strong, even tho it starts to die a bit. But we still see a staggering increase in terms of local competitors, willing to travel for our events. Chaf: Do you see The MixUp as a European standard in terms of organization? Flo: I think that there’s some things that we do better than other tournaments, but we still have some things that they do better than us. But what’s important to me is the basic competitor. Because, yeah, we’re an esport event. Yes, we host big Div. 1 tournaments for the Capcom Pro Tour and Tekken World Tour. But we need to feel welcoming for the small competitors. Because a lot of players coming in our events don’t go to win them. They want to play with the best and have a good time. We need enough consoles to let people doing casual/freeplay sessions. That’s very valuable for competitors, and also for us. Those people come to have a good time within the community. And if you don’t deliver, they might not come the next time. Chaf: You were never afraid that those huge esport stakes might spoil that community fun? Flo: For me, it depends the resources you have for your event. For instance, we recently got in contact with Koei Tecmo, to host a Div. 1 event for the Dead or Alive 6 World Championship. Back then, we had our game line-up, we had our plans. When we got that call, we never said “YES!!!”. I told them to give us a week, before answering back. Because they warned us a little late, and we carefully plan how to add the event to our plans. Chaf: So, your team never thought about adding DOA6, before you got that call? Flo: Well, we were very far in the organization of our event, before they contacted us. We did an internal poll to decide what games should we add, but we carefully decided that, if new games should come, it have to wait the next year. But it’s still a victory for us, to get commissioned by the publisher to make a tournament. We haven’t started big at first, but we grew enough to be directly contacted by them. For the other tours, we usually had to ask them. That said, our line-up for this year is done. If another publisher comes right now, we will say no. If we had more resources, or if we could go for a 3-day event instead of 2, why not? But we’re not there yet. If we want to maintain the quality of our events, sometimes, we have to say no. For instance, the Ultimate Fighting Arena in Paris has the Dragon Ball FighterZ World Tour slot for the French community. They completely deserve to keep this, and I will never try to swipe their qualifiers away. We don’t want to steal the competitive circuit opportunities from other tournaments. The numbers of fighting game circuits and how certain works is getting to a point where their might be enough for everyone. TWT Dojo event system is a good example, any tournament can be part of the TWT, this is insane. Chaf: You kinda did, though. 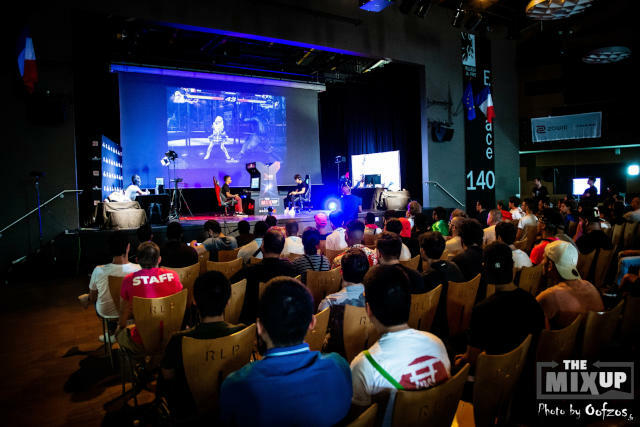 Because you became CPT Premier Event, when the French slot was traditionally given to the Stunfest in Rennes. Flo: I’m not hiding the fact that I wanted my event to be CPT Premier for a long time, now. I came in the community because of Street Fighter, so I’ve always worked for that goal. But not in the detriment of other event organizers. Capcom, to this day, is the only circuit provider that can, and did, put two Premier events in the same country in Europe. United Kingdom had that, so France can that as well, as long as the player potential is there. Right at the end of a tournament, our team works on a presentation deck for the publishers, like Capcom, to show our numbers of attendees and stream viewers, discuss our plans, suggest dates, etc. When we do that, we never asked for a CPT Ranking events. We always asked to be Premier. It’s like preparing an employment interview. It doesn’t make sense to aim for smaller goals. You need to prove that you want it and have what it takes to run a fine fighting game event. Chaf: That’s interesting, because you’ve stressed a lot how much the CPT means for LaDOSE and The MixUp. You never did it for other circuits that your tournament will also host. You’re not afraid to be perceived as someone that minimize their impact, compared to Capcom’s? Flo: I think that it would be true, if we haven’t given as much setup and as much care towards the Tekken scene, as we did for the 2018 and 2019 editions of the MixUp. There’s a lot of Fighting Game events that has major qualifiers for every big competitive circuits. Like VSFighting in UK, Combo Breaker in Illinois, etc. We think we’re comfortable with the resources we have. We will have more stream channels, more consoles and more staff to properly host both tournaments. We also did some concessions. We have not provided every resources to one publisher at the expense of another. For example this year Tekken 7 is closing out the event but groups won’t be on main stage. Street Fighter V will not close the event but will be on main stage at all time. SoulCalibur VI is not a game we propose due to The MIXUP being in a league but TOP 8 will be on main stage as the community is being very supportive and deserve it. At the end of the day the most important part is the community having a good time and enjoying finals at its fullest. We need to be fair and respect everyone, the community, the competitors, the viewers, the publishers. If being CPT Premier or part of the DOAWC would have costed our TWT Master slot or damaging the quality of our event to a point where the community would complain, maybe I would not have accepted it. Today I believe our experience as tournament organizer and our resources are strong enough to handle The MixUp 2019 as it is planned. Chaf: What about the “show” aspect of a tournament? Do you try to create a spectacle or a community-focused tournament? Flo: I don’t think that both are opposites. We’ve put a lot of efforts with our showmanship aspect, even if the venue we’re in lacks some things to really stress it out. But again, it depends the resources you have. But most importantly, you have to make your stream as good as possible. This is the first thing that people will look out for your tournament. So you have to make it good. Chaf: You’ve already planned some things for the future? How do you see things for this year and after? Flo: For us, we may change venues, maybe next year or the year after. But right now, the venue we have is more than OK for us. Working with an environment you know like the back of your head, this is priceless. Being CPT Premier in that venue relieve me some huge stress. But for Fighting Game events in Europe, I’m very optimistic. When I talk with people like Younes “CCL” Lazaar, responsible for the Brussels Challenge, I think that the team behind the tournament is very professional, and will grow to be a big European Major event. Because there’s a thing very important in the FGC that people has to understand. When big esport games like League of Legends or Overwatch is made, everything is top notch, because the whole thing is made by the publishers. We’re talking about closed circuits and closed teams. But for the FGC, the big majority of those TOs do it as non-lucrative associations. If we hadn’t volunteers coming from everywhere in France to help us, there would be no MixUp. We made their schedules in a way that the volunteers are working during their half-day, and after that, they enjoy the event. Because they’re members of the community, just like the people that paid and travelled to be there. The foundation of those circuits are the Grassroot TOs. Without them, there’s nothing. No esports, no team orgs, no sponsors. Most of Fighting Game publishers don’t have the resources to run on their own the numbers of event constituting their league. I see this a chance for the FGC, to keep control of what we want to achieve for the community and also not ending up with an event standardization. Every FGC event has its own atmosphere, its own flavour. Striving for quality is a common goal for any organizer out there, I believe that many path leads to success. In a time when people tend to be divided by all sorts of things, in the FGC, there’s a melting pot of people with different ethnicity and social backgrounds, coming for the same thing. That’s unique in our community. This is the main reason that pushed me to become a tournament organizer and work for the FGC’s sake. We all do it for the community. I’ve never personally earned money out of that, it clearly cannot be a full time job. This is my hobby, but I try to be as professional as possible. I owe it to this community that has provided me with so many friends as well as a second family. The future is looking bright and I can only encourage players to get their asses off the couch to local events and tournaments. The FGC is well alive in Europe, let’s keep this real! The MixUp will be held in Lyon, France, April 21st and 22nd. A lot of international players will be there, to compete in one of the biggest Fighting Game major in Europe this year. Esports Wizard will be there to cover the event. 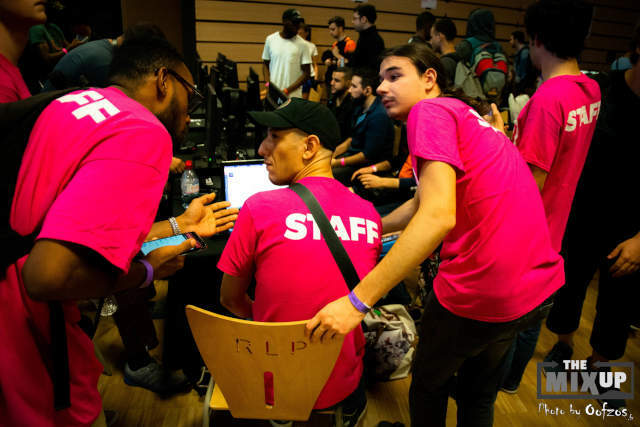 Florent "Flo-sama" did Esports Wizard's Chaf Cancel the honors to discuss the fighting games genre and competitive scene. Chaf became a Fighting Game enthusiast, and a fan of the Arcade gaming platform, right from his very first experience of video games with Mortal Kombat in 1996. 14 years later, he started being a member of the Fighting Game Community and a grassroots Tournament Organizer. His goal as a writer is to help build more bridges and connections between the esports industry and the FGC. Not afraid to be detail and precise with his writing, one of his mottos is to always keep in mind "the weight of words".